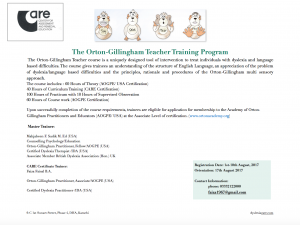 Faiza Faisal is a language and Reading Specialist trained in the Orto-Gillingham Approach. 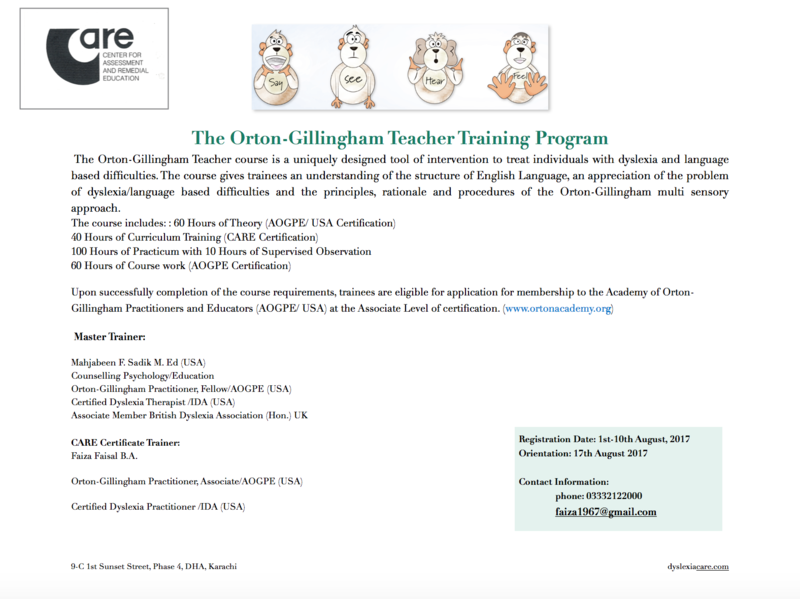 She is an Associate of the Academy of Orton-Gillingham Practitioners and Educators(USA) and IDA Certified Dyslexia Practitioner. She has been practicing at CARE since the year 2000. Faiza teaches students on one on one and group basis.Also, Faiza teacher trains and offers workshops/ seminars to raise awareness about learning disabilities/dyslexia and counsels students/parents/teachers on academic/psychological issues related to learning and behavior. 4th Floor 9-C, 1st Sunset Commercial Street Phase-4, D.H.A. Karachi - Pakistan.